How can businesses and individuals plan for the future without knowing what’s round the corner? Organisations need to be prepared for such diverse disasters as hurricanes, disease, adverse changes in exchange rates and terrorist attacks – a taxing task for the most dedicated of boyscouts. To recover from, and perhaps even thrive in, these situations requires some serious assessment and thought. 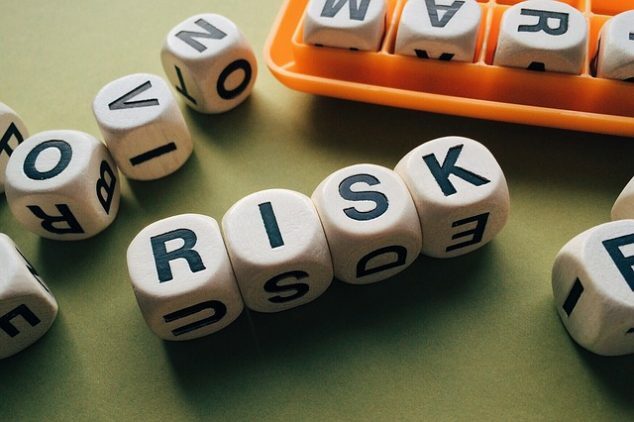 The field of risk management is where they turn to assess the probability of events and the severity of their consequences, so protective measures can be put in place. All organizations are exposed to risk of one sort of another. For some industries, a qualitative assessment of low, medium and high risk is fine; for others, more complicated mathematical techniques need to be enlisted. Risk assessors may be employed as consultants in any industry, but are particularly crucial to the insurance and financial sectors. Actuaries, mathematicians who specialise in modeling and analysing risk and uncertainty, are commonly employed in these fields. The actuarial profession consistently ranks as one of the top ten best jobs in the world for its excellent working conditions and hefty pay. Insurance companies’ whole business is built on risk. For the concept to work, they need to have a good idea of exactly how likely events are to happen, and how much to pay out when they do, to determine the premiums. If the eventualities they insure against happen more often than expected, they may have to pay out for more claims than they can handle. But if they overestimate the amount of money they need to hold in reserve in case of a rush on claims, they may miss out on precious profit opportunities. Depending on what they’re insuring against, actuaries may use different kinds of specialist software, which require a lot of maths in their design. Natural disaster planning uses the same environmental models used to study [link: forest fires] and weather patterns, but narrowed down to focus on extreme events. For health contingencies epidemiological models become relevant, and are also used to decide international health policy. Similar concerns apply to the finance industry, where banks assess the risk that taking different financial positions – buying more or less of certain financial products – will bring. Both numerical analysis and statistical assessment are brought to bear on this process as the different institutions seek to find a competitive edge in the industry. The simplest kind of risk management defines a portfolio in terms of the return from each investment and the amount invested in it, and seeks to minimize the variance in this return. Quantifying the risks associated with investments helps hold traders to account and allow investors to know what they’re getting into – if the formulae are right, of course. There’s some debate about whether, and to what extent, incorrect risk-assessment contributed to the last financial crash. The jury’s still out on that one, but any ideas for refinements would be welcomed with open arms and possibly golden handshakes. It’s not just the abstract worlds of insurance and finance who assess their risks with maths. Every industry needs some risk assessment from time to time. In this context risk analysts often use Monte Carlo simulations, and historical data where available, to keep things running in the face of uncertainty. Shutting down facilities like assembly lines or smelters doesn’t just halt production, but it also costs a lot of energy to start them up again. To avoid these costs risk managers look at transport statistics and simulations to determine the possible delays on deliveries of parts, materials and other resources. Then they can tell the facility owners how much of everything should be kept in on-site reserves in order to keep production going. Risk analysts apply mathematics to solve a problem humanity has always faced: uncertainty. Since everything involves some risk, people employed in this field can move between areas until they find an application that interests them, while being sure that their skills will be valued and the techniques they use day to day will be challenging. Although the results of their work may lie below the surface and sometimes go unappreciated, they are indispensable. A thorough plan can turn a disaster into a mere mishap, whether it be a hurricane or a broken washer. One of the few certainties in life is that things will go wrong; helping lessen that will always be a productive line of work. A guide to careers in risk management from the IRM.